This photograph was taken outside 10 Earlsway in the 1920’s. 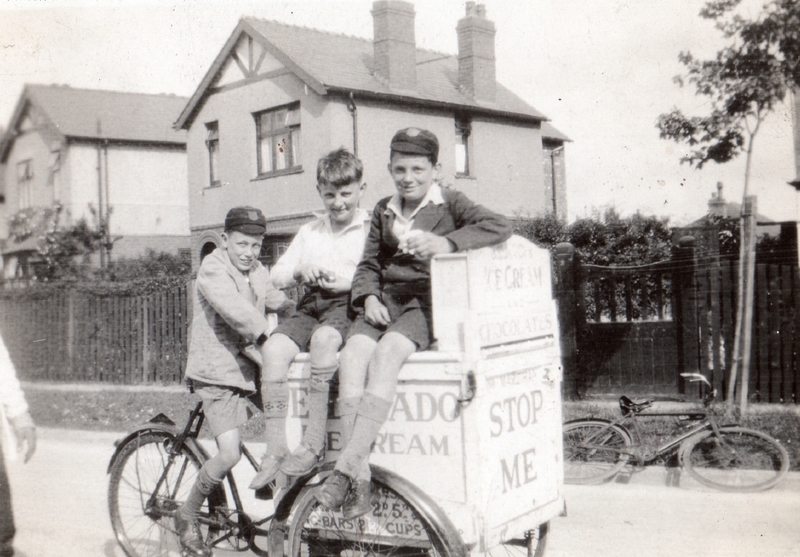 Ice cream was obviously as popular a treat then as now, but sold from a bicycle cart rather than from a chiming transit van. Two of the boys are wearing their school caps (which school? ), and perhaps the old fashioned bicycle in the background may have belonged to one of them. Curzon Park, then and now. (Click here )…. Do you have any old photographs of your house or area from a few years ago? If you have please email Adrian or Dave: photos@cpraonline.org. We will collect the picture, scan it, and return it to you undamaged. We will then take a photo to match the location, and put everything side by side on our CPRA web pages. We hope you can help. Click here…. 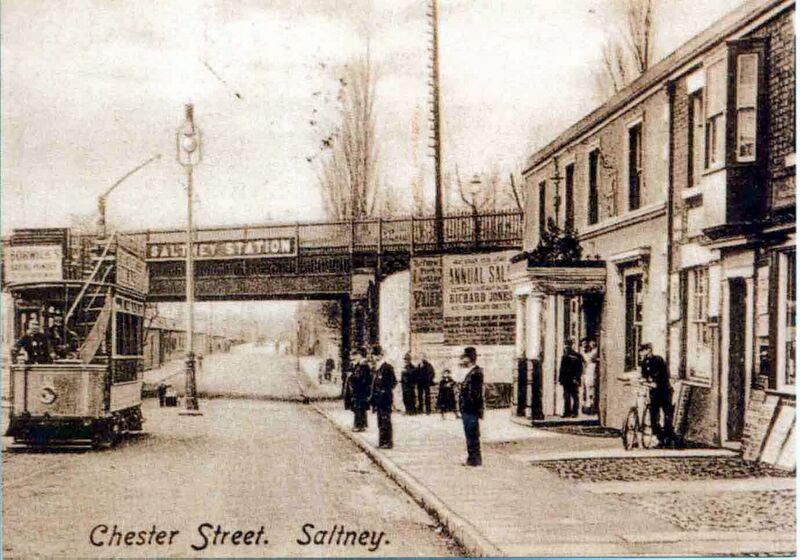 The link above will take you to the Chester Chronicle site, where there is a fascinating 5 minute ‘video’ of Chester in the 1930’s, showing trams in the city centre, and also glimpses of the River Dee.